If this post doesn’t hint at how rushed I’ve felt lately, I don’t know what will. Preheat oven to 350 degrees. Line a baking sheet with foil and spray with cooking spray. 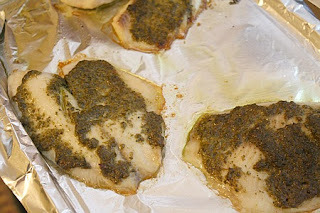 Place fish on pan and top with pesto. Bake for about 15 minutes. Serve immediately. 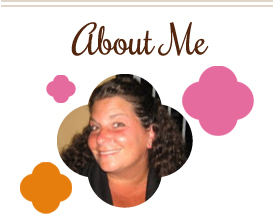 This entry was posted in main dishes, pesto, QuickAndEasy, seafood. Bookmark the permalink. Pesto makes everything five million times tastier!